Tues. #2 is HERE. To help the website out please subscribe to Mistah MegaManFan so we can reach 1,000 (current count: 817). If you're a gamer you'll enjoy the content! Don't miss The Wrestling Nerdcast, Nickolye's 205 Live Recap after 7 PM ET and Glove Up or Shut Up at 8! With the cheap plugs out of the way here's Wednesday's latest news. 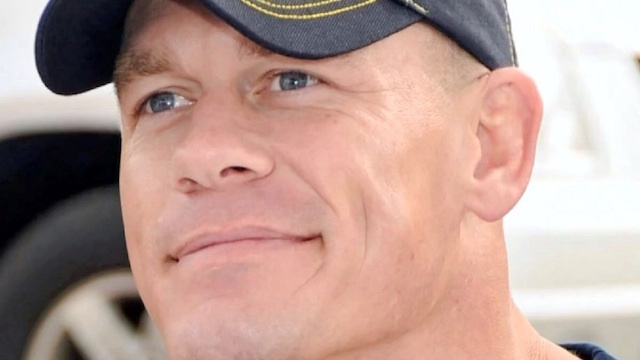 Using social media John Cena is doing his best to keep up the kayfabe of his "injury": "Setbacks are a large part of life. People often say 'what a bad time to get hurt' or 'I can't believe this happened to me now' ask yourself, is there a good time to get hurt? Or be setback? Setbacks are just another chance to find triumph! Never give up!" There is ONE good time though John... when you're leaving to go film another Hollywood movie. In this interview Steve "Mongo" McMichael talks about working with Ric Flair: "When I met Ric Flair, he was everything I've seen on TV and more. Some guys have a private life that is kind of sedate, Ric Flair is the genuine article, what you see is what you get, my friend. The way you see him talking on the mic in the ring is the way he lives his life. It's not a script! That's why I say the best guys, in any entertainment industry, it comes off the top of their head, they're not memorizing a script." New WWE related videos including (but not limited to) last night's SmackDown and 205 Live highlights are below. In this interview Brie Bella talks about giving Liv Morgan a concussion: "I went into deep depression. I didn't know if I was going to be able to go back to work. All the horrible things people were saying about me, I felt a thousand times worse than the things they thought of me and I really had to sit down and think to myself, 'Brie, you're a mother' and if Birdie was in this situation would you want her to feel this bad or would you want her to stand up to it and be like 'Screw you guys?' I made a mistake and she's not badly injured and you know what, this is our business, this is what we all signed up for." The Sports Business Journal is reporting that the relaunched XFL is in negotiations with both FOX and ESPN for television carriage. In this interview Cody Rhodes hopes All Elite and New Japan can work together: "Right now OWE is the first partnership. I know that Chris Jericho and myself, I was just getting a taste of New Japan. What a wonderful, absolutely wonderful company that is! And an absolutely wonderful environment - locker room and really, in the world of sports entertainment, they skew so far toward the sport of pure wrestling. I definitely know that I don't think it's the last for me. I'm just speaking for me, I can't speak for the company in this regard, but I'd like to remain friends. They have various partnerships now, New Japan does. I'd hope that maybe All Elite Wrestling can be one as well." In this interview Sean Waltman (X-Pac) says he may not renew his WWE legends contract: "I just have to renew my Legends deal. And I'm not sure if I'm going to. People have reached out to me. I'm not going to go into any further details... that's where I'm going to leave it. I'm just going to wait and see. I'm in a pretty good position." Via social media Carlito shot down rumors he'd be at the Royal Rumble, noting that "WWE won't even put me on their alumni page." Here Flip Gordon talks about his Ring of Honor status: "Right now I'm under contract with Ring of Honor til May 2020, so that's gonna be my main focus. Another focus of mine will be going back to Japan, as well as doing a lot more of my international travel. I'm still young and I've got a lot of learning to do, and that's my main goal." I'm not sure what to say about this so I'll let her tweet speak for itself -- Vickie Guerrero supports Donald Trump's idea of a wall between the U.S. and Mexico. Congratulations to Nicholas Comoroto of the Monster Factory on getting a WWE deal. A crowdfunded statue of AWA champion Reggie "The Crusher" Lisowski will be unveiled in Milwaukee in June.